I wanted to send out a little information on early expansion since many of my patients are younger and more likely to benefit from early treatment v. traditional orthodontics. As a specialist, I receive many younger patients as a referral already with the knowledge there is a problem with either crowding, dental protrusion, excessive overjet or even full crossbites. Clearly a higher percentage of these patients will have treatment recommended because they have already been screened (sometimes once by a dentist and again by a pediatric specialist). Many of these referred may receive a recommendation for expansion and I wanted to clarify a few guidelines I use in making this recommendation. Whether or not “need” is the word, the benefit of good, early expansion can greatly outweigh the cost and time by putting a young patient on a path to an easier and more stable correction and sometimes preventing later treatment altogether. So let me answer some of the more common questions I hear from both patients and directly/indirectly from their dentists. Are expanders needed if there is no crossbite? First of all, the old way of thinking is to only expand when there is an overt crossbite and there are some that still hang on to this philosophy. 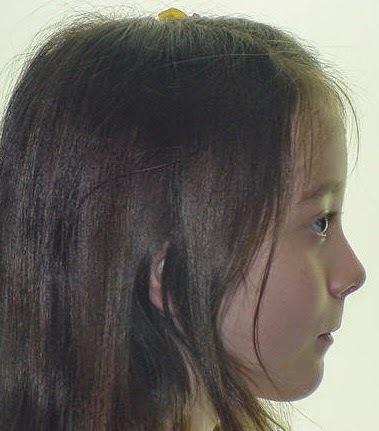 However we have learned that much of the crowding young patients develop can be attributed to constriction from the upper teeth; in other words, a narrow maxilla may cause lingual tipping across the lower arch instead of a crossbite; this leaves a smaller lower arch and it manifests as crowding of the lower incisors as they try to erupt. Expansion in the maxilla to restore arch width will allow the lower arch to upright which increases the arch length of both arches. Does expansion prevent extraction of permanent teeth? In short the answer is yes, in borderline cases. This is one of the benefits of restoring the arch width to the ideal size for the individual patient but it is not absolute. We can only expand to the ideal arch width based on the future width of the lower arch; if the mandible is small, the expansion will be limited and extractions may still be necessary and beneficial. Do you expand to increase the arch length alone? No. The increased arch length can only be a side-effect of restoring the arch width to the ideal. Essentially we are returning the tooth to bone size balance that should have been present before adverse muscle activity/mouth breathing/thumb-sucking/tongue thrust altered the natural equilibrium which led to the narrow arch form. How can I tell if expansion is needed? 1. Once 1st molars erupt, if they are Class II and overjet is minimal on the sides, posture the patient forward into Class I; if the buccal segments are now end-on or in crossbite, expansion is needed. 2. If the patient is Class I on one side and Class II on the other side; many times this is from constriction. Remember that the lower jaw can move; if there are interferences in the developing occlusion (like a narrow maxilla), the lower jaw will shift to a “best fit” and it does not always shift straight back. This can create a lifelong asymmetry if not corrected early. 3. If there is crowding in the lower incisors very early and when the patient smiles, their posterior teeth are not visible (dark buccal corridors), this patient should be evaluated for early treatment. 4. Anterior teeth are simply not erupting and/or primary incisors are not exfoliating; its time to check the under-lying teeth and evaluate the arch width. It is better to check for problems early. Are there different types of expanders? Can they be removable? 1. Removable expanders (built into retainers) have been proven to tip upper teeth outward and are very inefficient at true skeletal expansion. In other words a removable expander will open the bite every time by extruding molars and will relapse due to the severe tipping it causes on molars. These are not acceptable for skeletal expansion and are generally not used by accredited orthodontists. 2. Banded expanders employ a hyrax screw soldered to orthodontic bands and cemented to the upper molars. This traditional design is used widespread; it is effective though not 100% efficient. With a tendency to allow some tipping, it can open the bite and increases vertical dimension in high angle patients. If the bite opens early, growth can magnify the increased vertical dimension. A. They completely encase the molars with cement that releases Fluoride to protect teeth. B. The opposing teeth push up on the acrylic which prevents extrusion of molars and can actually close an openbite through posterior intrusion of teeth. C. The acrylic overlay acts as a splint and will de-program backward and sideways shifts of the mandible present from the initial constriction. 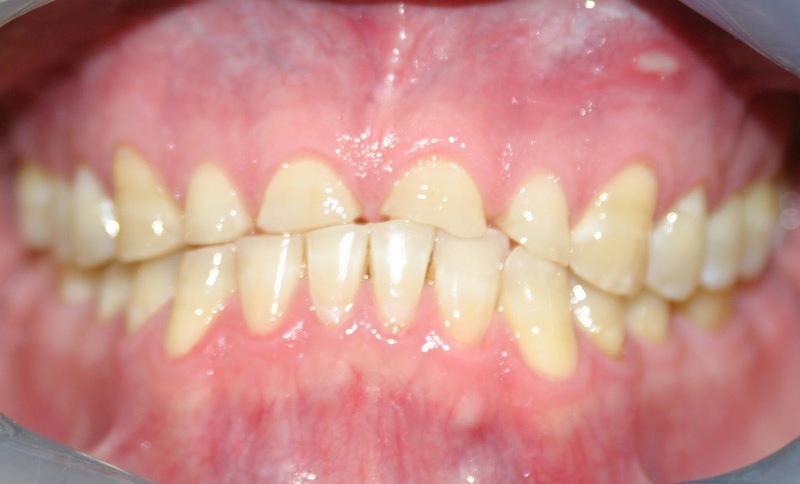 D. The anterior bite is discluded during expansion which allows the tongue to push on the lower teeth and self-correct them, especially if lower primary cuspids are removed/exfoliated. 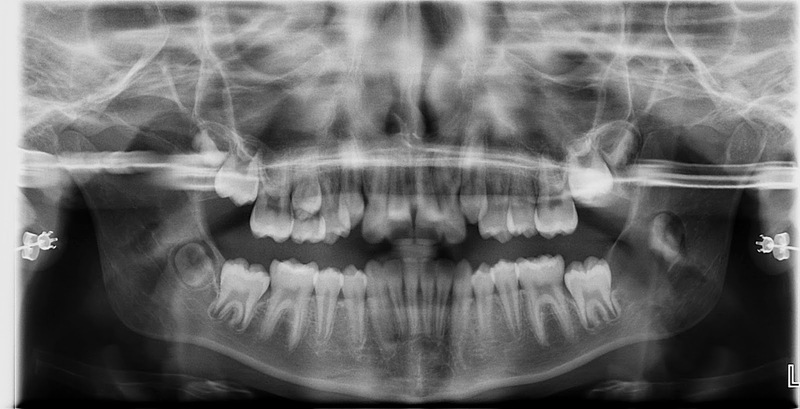 Can we wait on full braces, why expand in borderline cases of crowding even if the arch is narrow? Borderline cases have been the cause of relapse over and over in the literature. As orthodontists, we have tried many things to alleviate this including removal of teeth, space maintenance (we still use), headgear to retract molars, re-shaping or reducing the interproximal surfaces of teeth and simply leaning teeth outward to mask the discrepancy. But the problem remains if the crowding is more than re-shaping can alleviate and taking teeth out creates too much space, what can we do to provide stability? In a narrow case the answer is to expand early in development in the upper and allow the tongue time to upright the lower teeth. When are braces used in Phase I treatments and why? 1. If there is an impacted tooth or teeth where roots of adjacent teeth are blocking the path of eruption. 2. If the front teeth are protruded to the point of risking fracture from trauma. 3. If the front teeth are leaning backward (Division II) causing the lower jaw to push backward. 4. If the bite is deep and the lower teeth hit the palate. 5. 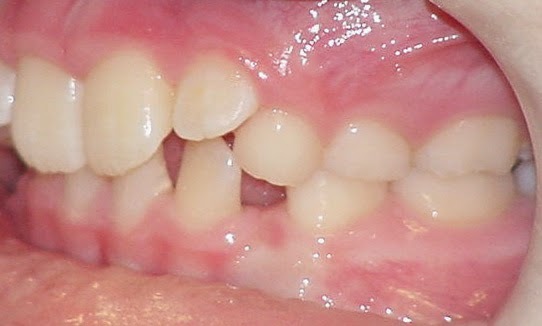 If the front teeth are in crossbite and the bite is too deep to simply push teeth with a retainer. 6. If there are missing teeth and we need control to guide remaining teeth into specific locations. 7. If there is a significant mesial rotation on upper or lower central incisors; early correction will prevent a lifelong struggle trying to hold these straight if not corrected until later as a teen. 8. If we are already expanding the maxilla and alignment of the front teeth may be all that is necessary to prevent later braces (and leaving the rotations will definitely lead to full braces). Is early treatment supported in the literature and accepted by the American Board of Orthodontics? Yes. In fact, much of the literature over the last 10 years has been heavily weighted to address the many aspects and benefits (as well as past failures) related to interceptive treatment. Insurances have changed to the point surgical corrections are rarely covered even in the most severe circumstances and long-term research has shown the significant degree of relapse with surgeries (specifically mandibular advancement), with late (teen) Class II corrections and with extraction therapy in borderline cases of crowding; we as orthodontists have had to learn to treat skeletal problems during growth while changes can still be made. This has made the well informed orthodontic specialist a valuable asset in providing not only a great smile but a lasting and stable occlusion. As with all orthodontics, not every case can reach 100% ideal for many reasons but it is always our goal to aim for 100% so that when we fall a little short, we are still providing a successful and excellent correction. This is the reason the American Association of Orthodontics, the American Dental Association and the American Board of Orthodontics all recommend patients be screened by accredited Orthodontic Specialists before age 7. Dr. James R. Waters is a 1996 graduate from UTHSC Dental School in San Antonio, 1997 graduate of Advanced Dentistry from the UNMC in Nebraska and the 2001 Valedictorian graduate from the prestigious Saint Louis University Orthodontic Program receiving the J.P. Marshall award for clinical excellence in 2001. He holds a Bachelor’s Degree in Science, Doctorate in Dental Surgery, a post-doctorate certificate in Advanced Dentistry, post-doctorate Degree in Orthodontics & Dentofacial Orthopedics and a Master of Science Degree in Orthodontics. Dr. Waters and his wife of 18 years live in Austin, TX with their 4 children where he has a thriving, multi-faceted Specialist practice with locations in Steiner Ranch and North-Central Austin. You can learn more about Dr. Waters at BracesAustin.com. so can I assume there is no orthodontic problem? Almost daily I see new patients that had been waiting on a referral for braces before finally deciding to come in knowing that something doesn’t look correct. Many times we can simply assure the parents and/or patients that there is no real problem and that their dentist may be waiting for teeth or such. However there are also many times that a real problem is brewing and should be addressed early. General Dentists are not always in tune with the developing occlusion; they focus on restorative work, oral hygiene and the overall health of individual teeth (many patients may not get a full exam until there is a problem found by the hygienist). Orthodontists are specifically trained for 2 to 3 years beyond dental school to see more of the whole developmental picture; to identify evolving problems and plan interceptive treatments to curb potential damage to the teeth and/or supporting tissues. This additional training and experience allows early identification of problems including but not limited to potentially impacted teeth due to early crowding, congenitally missing or malformed teeth, ectopic eruptions (teeth erupting in the wrong location) and even seeing malocclusions that typically cause TMD (joint pain) and/or damage to the teeth but not be obvious to the dentist. Take the following patient for example; the older sister of a patient in treatment with a history of 6mo checks with her children’s dentist. 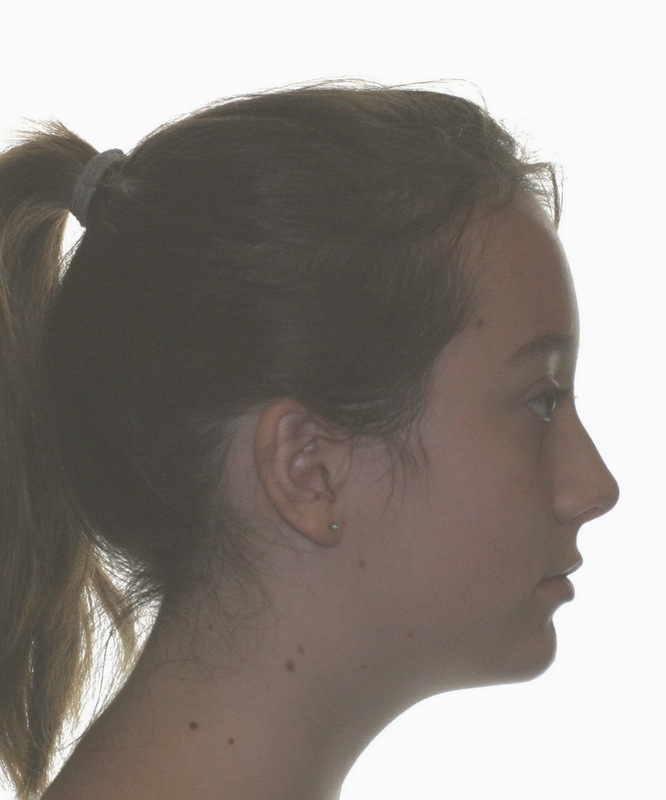 A complimentary panograph was taken due to the appearance of a narrow arch. Note the large mass on the lower right of the radiograph (completely un-related to the narrow arch we were investigating); a benign but aggressive tumor destroying the bone and placing the teeth and jaw at risk of fracture. Oral surgery was required immediately to remove the tumor and allow healing before teeth would have been inevitably be lost and before the jaw fractured. The patient has since healed and is doing well thanks to identification and removal based on a chance visit. In the same week I saw both of the following patients without referral because the parents felt teeth were not coming in on time. In the panographs taken below you can clearly see the problems. Both patients now require surgery to expose the impacted teeth and pull them away from the adjacent teeth while forcing them to erupt. Both cases had a good chance to prevent the impactions by working early to restore the size of the bone before the canines tried to erupt but by the time we saw them, it was too late to prevent. Kids may be the obviously example of hidden needs but teens and adults also can have significant functional problems not addressed by their dentists. Consider a poor occlusion that causes heavy wear to the front teeth. Given time, the heavy wear on the teeth adds up and can literally destroy the front teeth. The 47 year old adult below asked about the wear for years until the dentist advised him there was no room to place veneers. Instead of giving up, we used braces to open the bite and restore space for the restoration of the severely worn teeth. 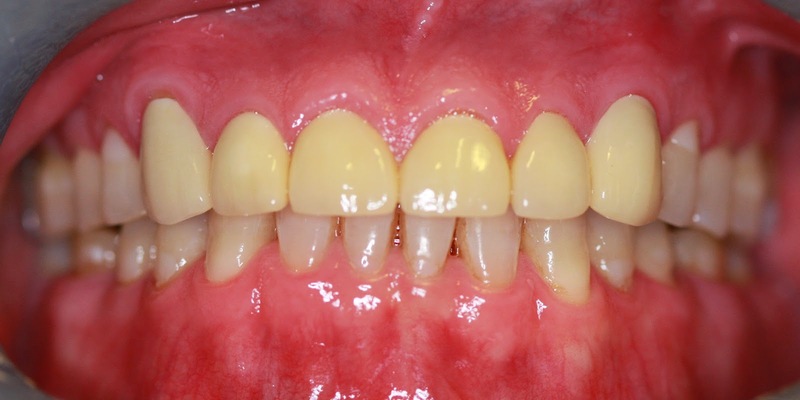 In another patient, instead of allowing this wear for 30 years, a 15 year old with the same bite presented with the complaint that she did not like her smile but the dentist told her there was no problem. 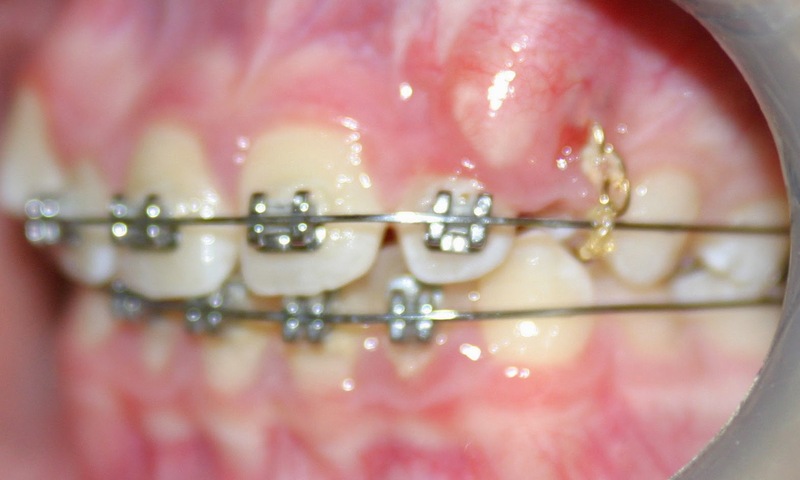 Braces were used to re-open the bite and restore proper function before the teeth were worn down beyond the point of requiring repair (mild reshaping was performed following braces to mask the worn edges and allow a younger appearance). Another common issue with teens has to do with the way adult teeth erupt behind the baby teeth. Leaving the baby teeth too long will cause permanent teeth to rotate or deflect over other teeth; in fact much of the crowding we see in teeth can be traced back to retained baby teeth. This is especially detrimental in cases with over-active musculature. Consider the case below showing the upper teeth leaning back which in turn constricts the lower teeth causing crowding and holds the lower jaw back preventing full growth. Before treatment. Note the lower jaw is pushed backward causing a receded chin at age 8. Additionally, the upper teeth are back which creates less space for the un-erupted teeth (in fact, this patient already has an impacted canine). During initial treatment the front teeth are being aligned and brought forward. You can see where the impacted canine was exposed and a chain bonded under the gums to pull the tooth back away from the front teeth and into correct position. Following treatment, you can now see how the lower jaw has come forward and the teeth aligned with the previously impacted canine in position. 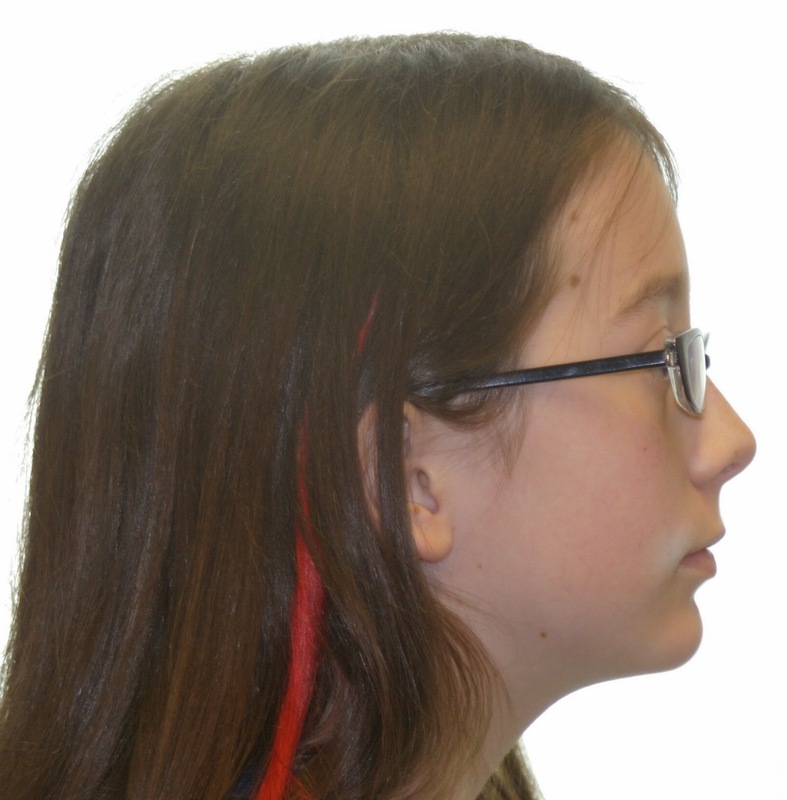 Had we not been able to treat as a child, we would not have been able to fully correct the facial profile and would not have been able to align teeth without removing some of the permanent teeth. Ultimately there is nearly an infinite combination of issues that will lead to an orthodontic malocclusion and the Family Dentist simply does not have the time to focus on every scenario. An accredited Orthodontic Specialist is trained just for identifying and treating malocclusions hopefully before they lead to more extensive damage. So why would you wait to be referred to an orthodontist when it is the orthodontist who is the one that can identify the problems in the first place? It is far more beneficial to have an orthodontist screen patient (always at no fee) and decide who may benefit from modern orthodontics and when it is the best time for any treatment. Dr. James R. Waters is a 1996 graduate from UTHSC Dental School in San Antonio, 1997 graduate of Advanced Dentistry from the UNMC in Nebraska and the 2001 Valedictorian graduate from the prestigious Saint Louis University Orthodontic Program receiving the J.P. Marshall award for clinical excellence in 2001. He holds a Bachelor’s Degree in Science, Doctorate in Dental Surgery, a post-doctorate certificate in Advanced Dentistry, post-doctorate Degree in Orthodontics & Dentofacial Orthopedics and a Master of Science Degree in Orthodontics. Dr. Waters and his wife of 18 years live in Austin, TX with their 4 children where he has a thriving, multi-faceted Specialist practice with locations in Steiner Ranch and North-Central Austin. You can learn more about Dr. Waters at BracesAustin.com.